Whether you are a model railway fanatic or looking for your child’s new favorite toy, the best train sets come in different sizes, prices, and design - so it is very likely that you will find a train set on the market that is the right choice for you. The question is - how to choose the best one? This motorized train set is powered by an EMD GP40 diesel locomotive and comes with an operating headlight. It is a 5-car, HO-scale set, with a 47” by 38” track. Aside from the incredibly realistic-looking cars, this set also includes a steel roadbed track, miniature people, and a signal bridge. This 130-piece set is great for newbies, as it is very easy to set up and can be ready to run in no time. 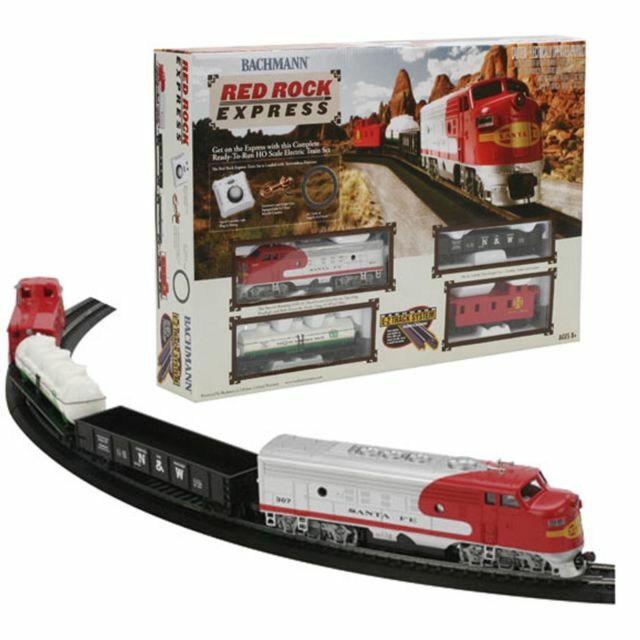 This remote control train set comes with a locomotive, a 3-dome tank car, a boxcar, and a caboose, as well as a 40” by 60” fast track that is durable and easy to connect. The remote of this O-scale train set can be used to turn the train on or off, blow the whistle, blow smoke, and control the speed level. This HO-scale train set comes with an EMD FT diesel locomotive with operating headlights, two freight cars, an off-center caboose, and a 36-inch snap-fit E-Z track. If you’re not looking for a battery operated train set, this might be the choice for you as it comes with a speed and direction controller, both powered by a plug-in electric source. This set was designed in a “war bonnet” paint scheme and revives a southwestern theme. Finally, as this is one of their top-rated electric train sets, you will often find it listed in eBay’s daily deals and discounts. This set is a wonderful example of themed remote control trains. It was inspired by the movie “The Polar Express”, but it could also be fun for those not familiar with the movie. 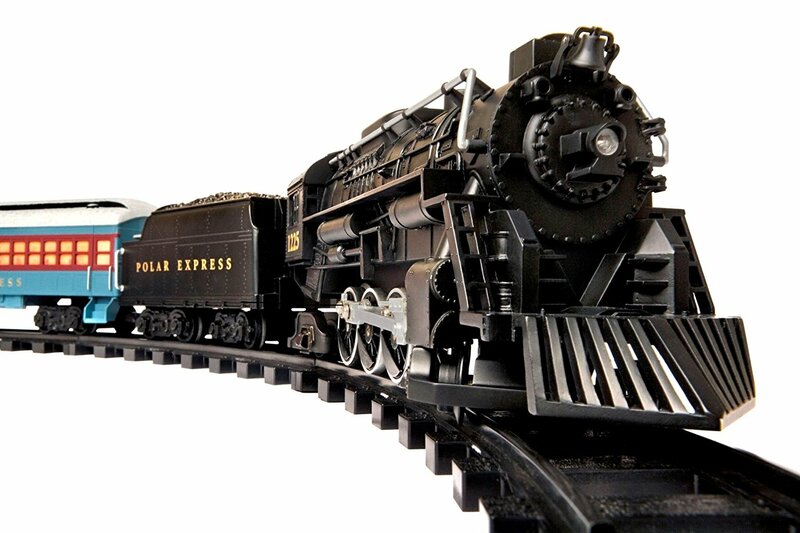 This O-scale set comes with a lot of fun features like smoke, a whistle, chuffing sound, a bell, as well as voice announcements like “All aboard the Polar Express!”. It also comes with four popular character figures from the movie. 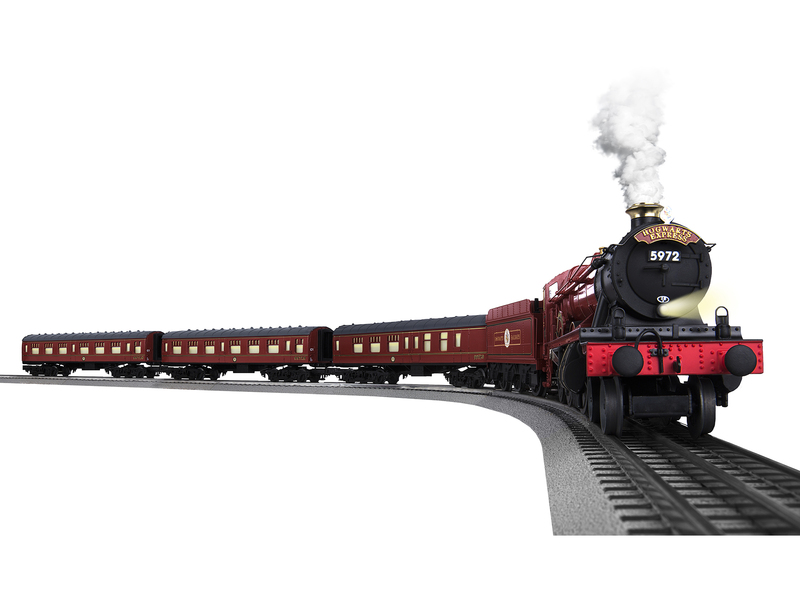 This O-scale train set will be the perfect choice for the Harry Potter fans, no matter how young or old they might be. The set includes a 4-6-0 locomotive with operating headlights, two passenger coaches, and one combination car. The 40” by 60” track includes eight curved pieces, two straight sections, and one terminal section. Using the remote, you can turn the train on or off, control the smoke, the direction, and the sound – including some famous lines from the movie sequel. It is easy to set up, so the only thing left to do will be to cross the Platform 9 ¾, and hope that Dementors don’t stop your train for a quick check-up. If Harry Potter had Internet at Hogwarts, he would have probably looked up Amazon discounts since this model is a tad expensive. If you were looking for the best HO-model trains, you could consider that search over! This train set comes with a diesel locomotive with operating headlights, three freight cars, and a caboose. It can be set up on a 36-inch circle of steel E-Z track and includes a power pack and a speed controller. The set is designed in a “war bonnet” paint scheme, and it is a perfect starter pack – extremely easy to set up, control, and operate. This G-scale train set comes with a lot of interesting pieces. There is the 4-6-0 steam locomotive with operating headlights, a gondola, a bobber caboose with a Santa figure, and the 64” by 51” oval track that includes twelve pieces – ten curve ones and two straight. The locomotive has a few interesting features – a bell, a whistle, and smoke. This set also includes a power pack and a speed controller. To make it easier for you to set up, manufacturers included an illustrated video and DVD instructions. This amazing G-scale set includes an engine, two cars, a circle of track, power, figures, and 51” in diameter track. It features directional lights – front lights activate when going forward and rear lights activate when the train is backing up. The locomotive makes a steam sound when the train is speeding and also features a smoke generator. You won’t need additional tools for this set since it is ready to run upon unpacking. 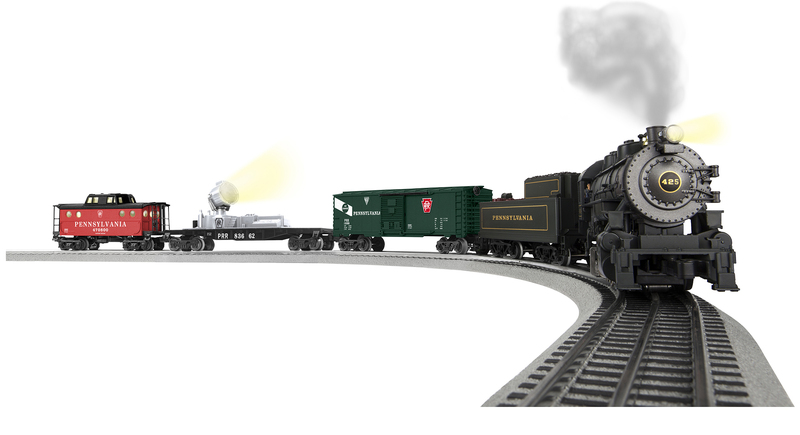 This O-scale set includes a 0-8-0 locomotive, a boxcar, a caboose, and a special searchlight car to add to the realistic feel of the whole set. The train can be controlled via remote with different features like realistic train sounds such as chuffing, whistle, bell, and announcements, as well as turning it on or off, and controlling the forward and reverse speed. You can also download the LionChief app and control the train via the app. This HO-train set was designed for Thomas & Friends fans or anyone looking for a great starter set. The main feature of this set is the Thomas the Tank Engine locomotive with speed-activated sounds and moving eyes, resembling the character from the cartoon. Other fun features include whistles, puffs, and steam exhaust sound upon stopping. This train set will perform best if installed on 15” radius curves or greater. The package includes a 36” circle of snap-fit E-Z track, a speed controller, a power pack, and an illustrated manual. This is a themed O-scale train set that is unique-looking and futuristic. It was inspired by the Batman movies and includes a locomotive with operating headlights, two additional cars, an easy operating remote control, and ten pieces of FasTrack. The set was modified to fit the mystic Batman theme and features different sounds like train humming, bell, horn, and Batman talking. The lighting is another feature that makes this train set unique. The car windows have green illumination, and the engine has a headlight that flashes when speeding and going forward. This set is highly stylized and distinct; therefore, it might not be the right choice for you if you are looking for a starter pack as it will be hard to add pieces to it. This might be the perfect set for you if you are looking for a fun toy for your child that will help them boost their creativity, and develop their problem-solving and motor skills. This O-scale set includes a diesel switcher, a LionChief remote, a boxcar, a gondola, a bobber caboose, and a pack of animal figures. You can use the remote to control different sounds like a horn, a bell, and special announcements, as well as operate headlights. This is a ready-to-run train set that includes a locomotive, passenger cars, a snap-fit E-Z track, a power pack, and a speed controller. It comes in N-scale and HO-scale alike. The main differences between the scales are mostly associated with the size of the track (the N-scale comes with 34″ x 24″ oval of nickel silver E-Z track; while the HO-scale comes with 63″ x 45″ oval of snap-fit E-Z track) and the number of passenger cars (the N-scale has three; while the HO-scale has two). No matter what scale you go for, this model can make the perfect starter set. This O-scale set features a locomotive, a unibody tank car, an autoloader with four removable automobiles, as well as a quad hopper with a removable coal load, and a caboose with interior lighting. The locomotive can be controlled to go forward, neutral, and reverse. The numerous sound features like diesel reviving, a user activated horn, bell, as well as a train crew dialog are what makes this train stand out from the rest. If you are looking for the best train set adults would enjoy, this might be the choice for you. 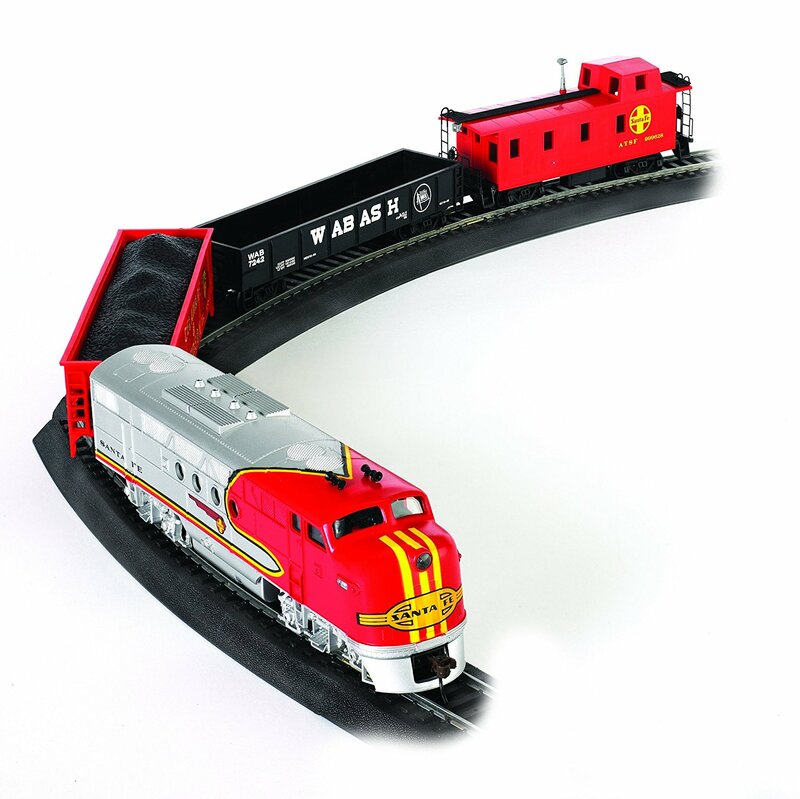 This N-scale train set includes everything you need to start your own railroad – an E-Z track, a roadbed system, power supply, 0-6-0 steam locomotive, and a set of different cars including a tender, a boxcar, a quad hopper car, and a caboose. Designed for experienced train hobbyists, it is, therefore, slightly more complicated to set up. Considering its purpose, it is clear why this train set doesn’t feature sound effects and instead includes a number of small, highly detailed components. This train set was designed with the little ones in mind. It is the perfect toy that has all of the necessary components that make it appealing to children – it is fun to play with, colorful, educational, and challenging. It resembles the real world, and is, therefore, perfect for expanding a child’s imagination. The 40” by 17” track is made from high-quality, durable wood. 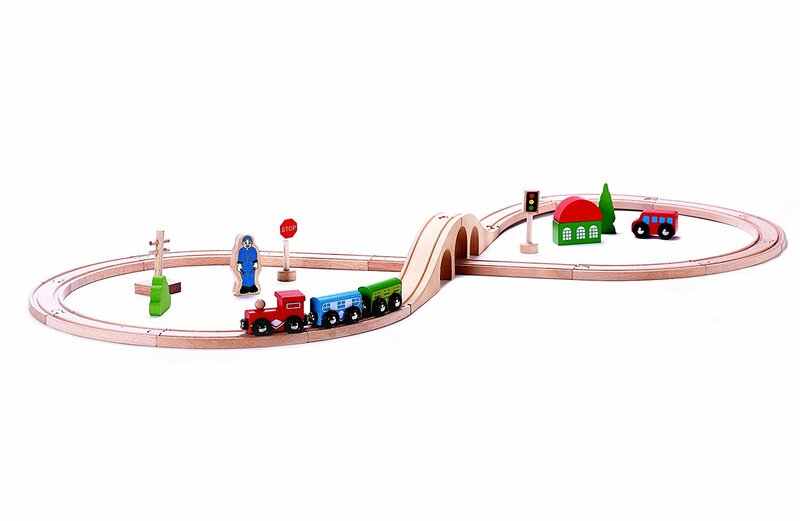 Since this train set was designed for very young children, it is important to know that it doesn’t contain brittle plastic parts and meets toy safety standards – the track and cars are made from wood, and the train carriages use magnets to link. Now that we covered 16 best train sets currently offered on the market, it is time to review all of the essential qualities you should consider when choosing a train set. Whether you are only looking for an electric train set for sale online or the most affordable store where you could buy electric train sets – Walmart has a plethora of ongoing discounts and promotions. The only thing left to do is choose one that best fits the below criteria. The inventor of toy trains was Joshua Lionel Cowen. He invented his first toy train at the mere age of seven when he connected a motor to a model of a railroad flatcar. One invention led to another, and he finally founded the Lionel Corporation. This company was the first to deal with toy train production in America, and Lionel trains continue to be a hit even today. 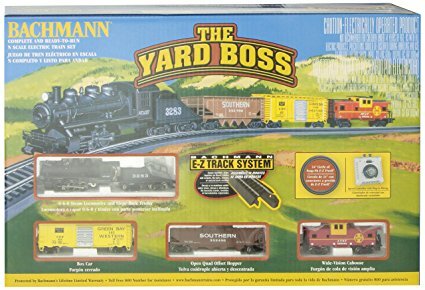 The second toy train manufacturer that entered the market was Bachmann Industries, which started producing toy trains in 1968. Founded in Philadelphia, Pennsylvania, today it is a Chinese owned company, based in Hong Kong. 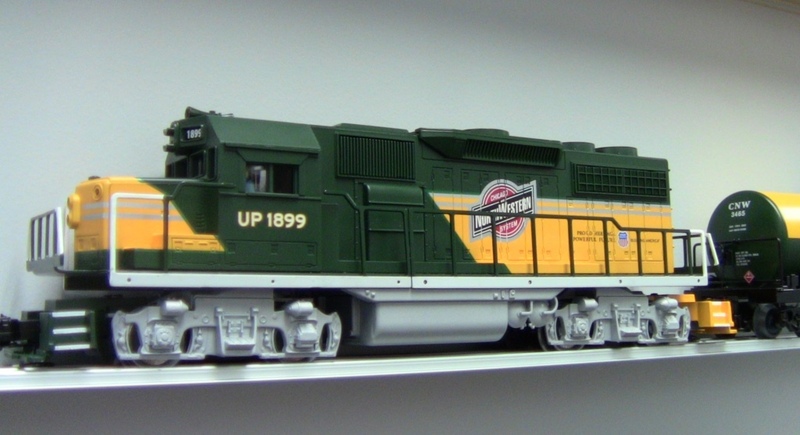 The Bachmann’s brand is the largest seller of model trains in the world. Finally, another manufacturer worth mentioning is MTH Electric Trains. Formerly known as Mike’s Train House, this company is working with Lionel under the Lionel Corporation banner on producing toy trains of all sizes, styles, and designs. Now that we have introduced you to the history of toy trains and the best model train manufacturers, the below list covers all that you should put into perspective before purchasing a train set. If you plan on enriching your train set, the size is an important aspect to consider, since additional tracks or accessories need to fit your existing set. Train sets can be found in four different scales. N scale train sets are usually considered electric train sets for adults and might be too complicated for children. Instead, they are more appropriate for experienced hobbyists, as they allow for more realistic layouts. HO is the most popular scale, so if you opt for this size train set, it will be fairly easy to find tracks and other accessories to your set. If you are looking for train sets for toddlers, an HO scale train set might still come too small for them to maneuver the trains. Conversely, an O scale train set could be perfect for younger children mainly because of its size; it is big enough for them to operate it. A G scale train set is the biggest and easiest to maneuver as it very rarely derails. Because of their size and durability, G scale trains are usually set up outdoors (in gardens, for example). Complete train sets often include a power supply. Transformers that come in the train set are usually only strong enough to supply power for the locomotive and a few attached cars. If you are planning on enriching your collection you might want to consider investing in a stronger transformer. 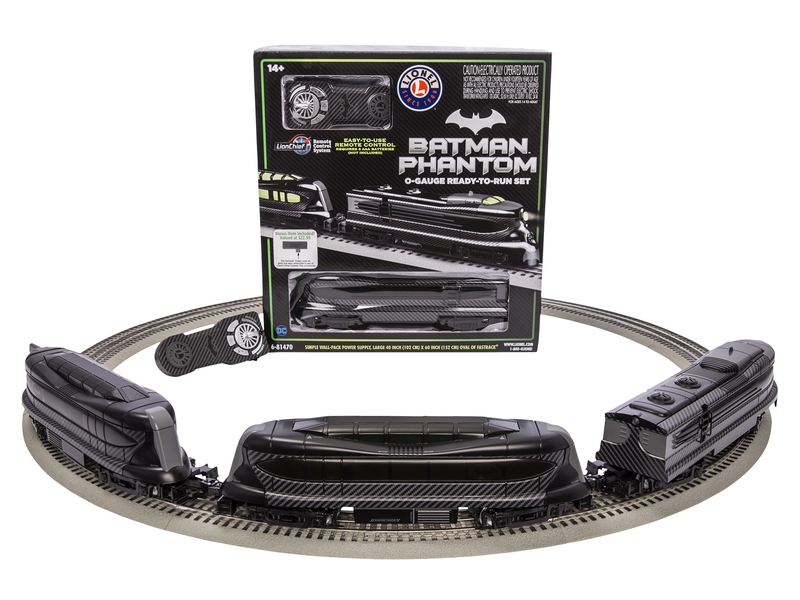 DC power – this system is the conventional way of powering most starter train sets. DCC power – with this power supply, you can control multiple locomotives anywhere on the layout. 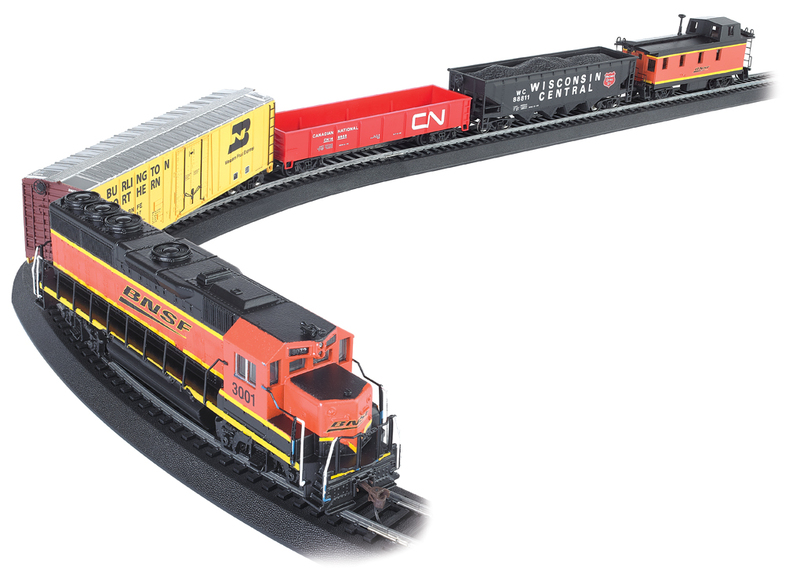 AC power – Bachmann, Lionel, and MTH trains operate on AC power. This power supply provides a different power frequency and cannot be combined with DC or DCC trains, track or accessories. Firstly, tracks differ in terms of size, i.e., they all come in different scales. The second characteristic you should consider is the shape of the tracks. Usually, starter packs include several straight and curved track sections, as well as some switches or turn points. The number of curved sections will be important if you are planning to assemble a specific shape with the tracks. Also, you can separately purchase flex tracks and make any shape that you want. Accessories are the way to make your train set more fun and realistic. The best model train brands usually include some accessories in the train sets they produce. If you want to customize your train set, you can find different types of accessories on the market. Train sets differ when it comes to the device used to control the train. They either have a controller that is directly connected to the power supply and has to be fixed next to the set. Or, a train set might include a remote, which means you can control its functions from any place in your house or garden. Usually, the controller connected to the power supply can only be used to turn the train on or off and control the speed. If there is a remote provided, it could also control some locomotive features like sound, steam, and direction. Train sets can greatly vary in price, as they can be different in sizes, include a different number of accessories or track lengths, and be more or less detailed or themed. Usually, themed train sets are more expensive and include more accessories and features (famous characters and sound effects of famous lines). Also, if the train set was designed for a model railway hobbyist as a collector’s item, it will more likely fall on the expensive side. Which is the best train set for you? As you can see, not only there are a lot of aspects to put into perspective when looking for train sets, but there are also many options to choose from. To help you narrow down the selection, we provided you with an extensive list of some of the best train sets on the market. Whether you are looking for the best train sets for toddlers or a great starter set to introduce you to the world of model railroading, one of the train sets from the above list will certainly make for a perfect gift or a wonderful addition to your everyday life!